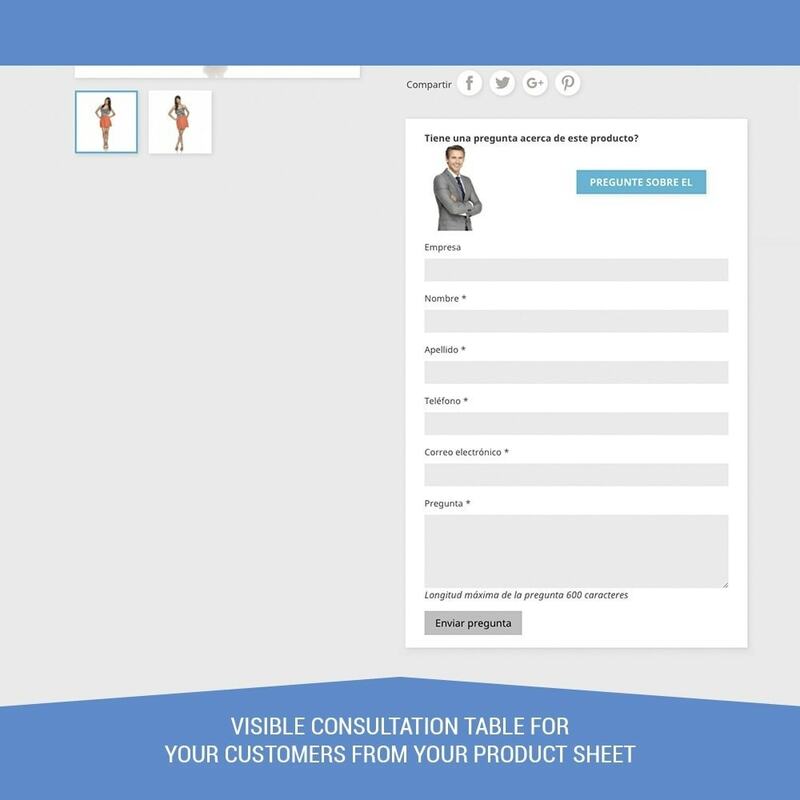 A simple way to solve customer doubts about products and increase conversion. Available fields, name, surname, company, telephone and comments to include. 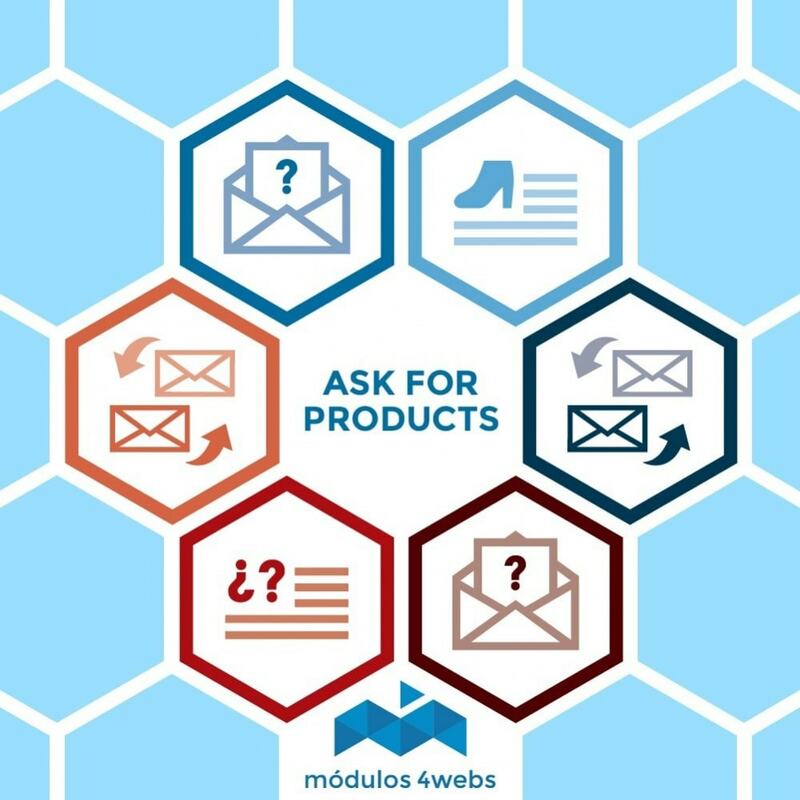 the site administrator will receive an email with the subject that will include the name of the product the customer is asking about. 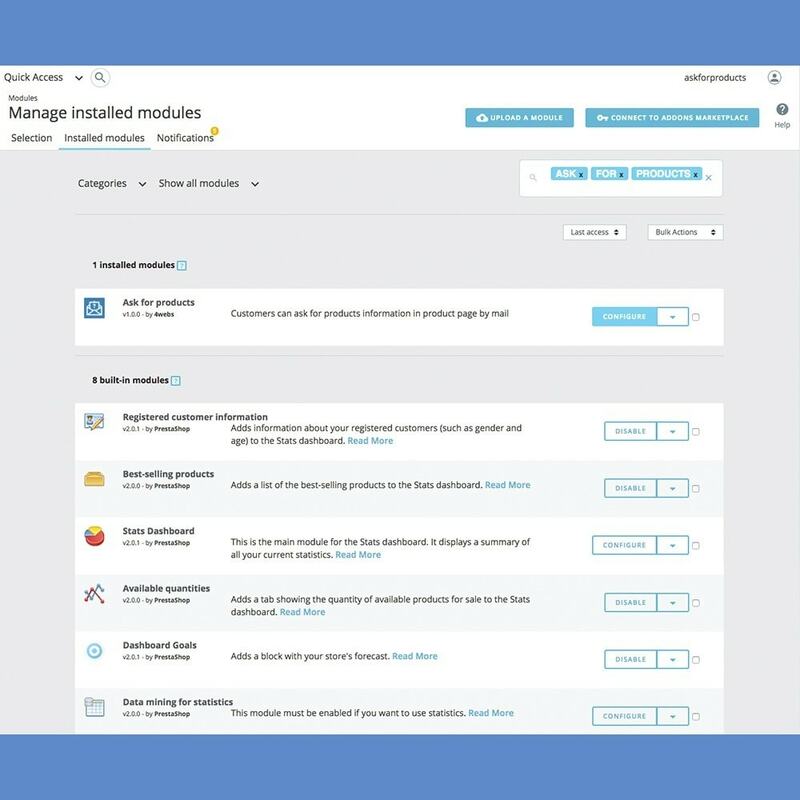 This module doesn’t require any store modification, only upload the files and configure the options you want.